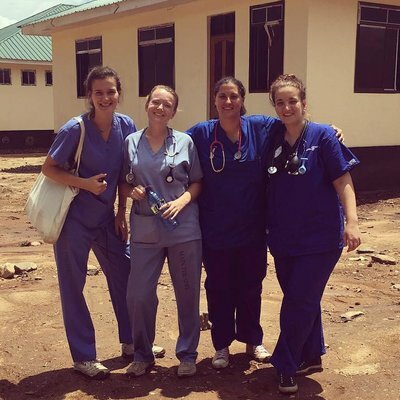 I chose to complete my elective in the Philippines because I wanted to experience nursing in a developing country and observe the differences in practice. At the beginning, I was unsure of what to expect but enjoyed every minute of it. On my first day in the hospital in Batangas, I was given a tour and introduced to surgical staff who I would be working with. This was a positive; getting to meet medical staff before placement the following day. I attended the flag raising ceremony that is held every Monday outside the hospital. The flag ceremony discusses important information, updates and celebrates birthdays in the hospital! We had to introduce ourselves to all staff present and describe ourselves with the first letter of our name. This induction helped me to relax and enjoy placement because I knew where I would be going and the Work the World team were always on hand to take us to our new placement areas. All staff were very approachable, friendly and always had a smile on their face. This made placement so much more enjoyable. Most staff could speak some English which helped me, I did learn simple phrases of Tagalog, such as ‘Magandang Umaga’... good morning! During downtime, I went to the pool, shopping centre, and the Work the World team gave us a tour of Batangas market (which was amazing). 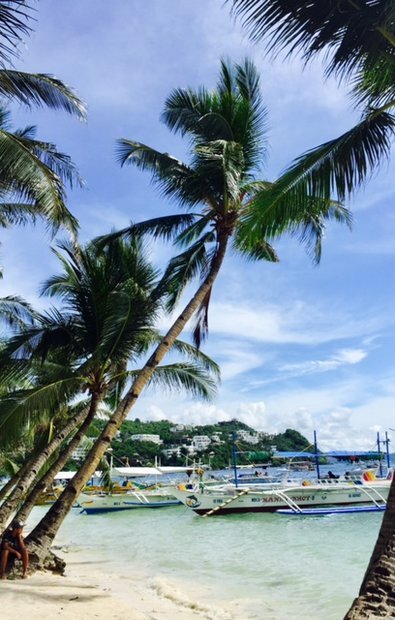 One weekend I travelled to an island called Boracay, which is beautiful. I went island hopping which included cliff jumping, exploring caves in crystal cove, snorkelling and time on a beautiful white sandy beach. 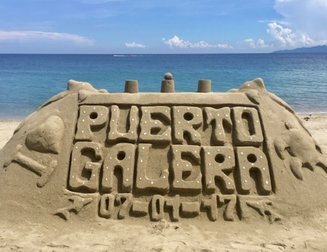 I travelled to another island, Puerto Galera, by boat. I also trekked up Taal Volcano by horse, this was such a good experience and had impressive views. For all trips, we had a designated driver, who was very professional and friendly, he would point out land marks during our travel time which made the long journeys very interesting. During placement on the surgical ward, I worked with such a vast age range of patients, mostly females, but the occasional male. I helped to nurse a female patient around 60 years old, who had to be intubated by two doctors, the nurses on the ward supervised this and I helped by pumping air into the patient’s lungs using a bag and mask. I observed many tasks being carried out on the wards and showed initiative to take part in them. This allowed staff to trust me and my ability. One thing that will always stay with me is the children’s bay and had about 6 or 7 patients in from the age of 1. Each time a nurse entered the bay the children would start crying because they associated pain with a nurse's uniform, this wasn’t nice to experience but I can understand why. The bays on the ward were extremely cramped and in some cases, you could barely walk between the beds, and sometimes patients were treated on corridors. I was told by nursing staff the ward had capacity for around 20-30 patients and any more than this had to be treated out on the corridor. If an emergency happened it seemed different to home because all the "watchers" (the patient’s relatives) would come and have a look what was happening. I used lots of non-verbal communication with patients so I could communicate as they did not all speak English. Watchers completed all personal care, toileting and assisted patients with activities of daily living. Whereas, back home nursing staff help patients with these tasks, I think allowing relatives to assist with patients back home would relieve slight pressure from staff and allow them to spend more quality time with patients and relatives. 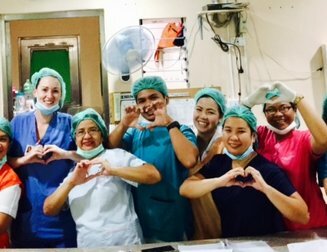 Although the principle of nursing is the same over in the Philippines, staff make very good use of the resources they have, for example, by using a glove for a tourniquet. Staff have very good communication skills between patients and their relatives. I always felt patients were well informed and always had questions answered. Due to the lack of resources curtains and cubicles for patient privacy is very limited. This was difficult to get my head around when doctors were examining patients and the rest of the bay could see. All patients must pay for healthcare and medicines, for example I went with a nurse to take a patient down to theatre, the patient could not go if they did not have the correct medication required for an anaesthetic and pain relief. Outside x-ray, there was a price list of how much each treatment cost. Living in the WTW house was an amazing experience, to begin with only a few students were in the house and towards the end of placement the house was full of students from all over the world. There were plenty of spaces to have some quiet time or time to communicate with family back home. Everyone in the house was so friendly and got on so well, this included the staff too. Meals were cooked by Chef Triston, at set times which gathered everyone together. This is definitely an experience I would do again. When describing my experience to family and friends I tell them it was such an amazing experience. 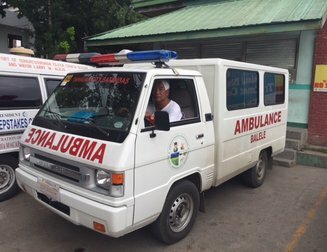 I have seen so much of the Philippines, how the hospital is run, how patients are cared for, and how the Filipinos live day to day. 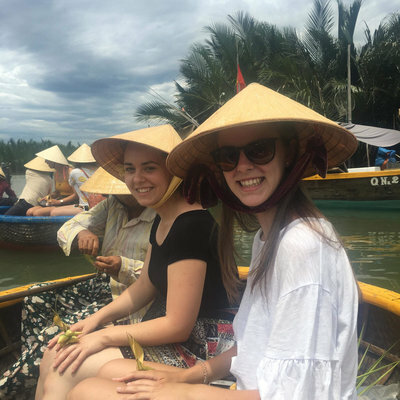 I feel that I have learnt so much from my 3 weeks out in the Philippines, I got to learn about the culture and try new things such as food, travelling to placement and on tricycles and Jeepney’s. I made some amazing friends, the hospitality of people is incredible. This is a once in a lifetime experience, although it was a tough decision having to leave my 7-year-old daughter behind, it is the best experience I have had during my lifetime and I would do it again if I had the opportunity. 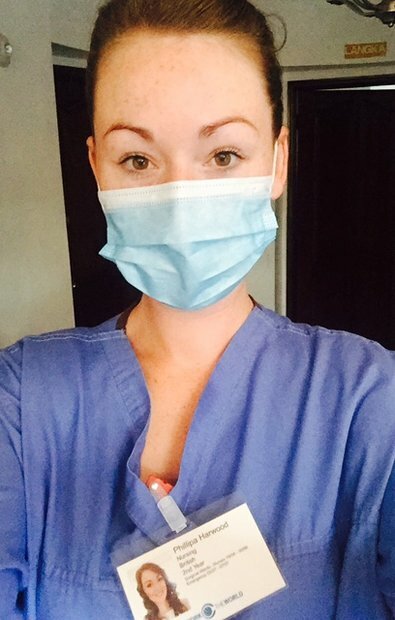 I want to make my daughter proud of me for going to nurse in a developing country. Regardless of the cultural differences, all nursing staff were bursting with knowledge and skills and always wanted to share this with me. 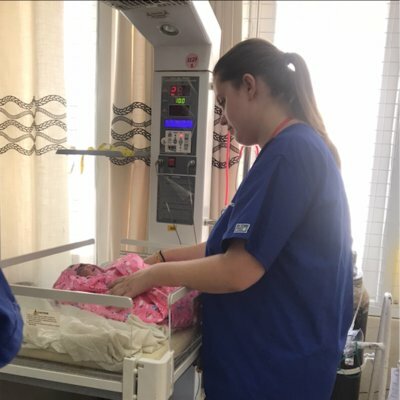 I will always remember my elective nursing placement in the Philippines and would consider going back again once my daughter is older. If I had to pick one thing about my experience, it would be the kindness and hospitality of the Filipinos. During placement, all staff wanted to include me in experiencing as many nursing interactions as possible to build up my knowledge and skills. 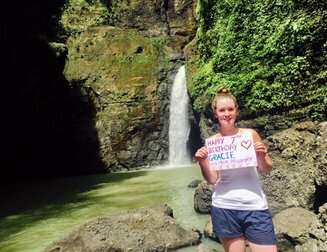 It was incredible and has helped me to better understand the culture out in the Philippines. I chose Work the World because I had read for myself that it had good reviews from previous students who had travelled and my university recommended them. I am so pleased that I chose Work the World because they have been wonderful! When out in the Philippines Work the World staff could not do enough to make sure I was ok and that placement was going well. This helped me to settle into the hospital and become familiar with my placement area; I would highly recommend Work the World because nothing was too much trouble. I would just like to say a massive thankyou to all Work the World staff in the office, the operations manager, the programme manager and their assistant, the chef, the driver, the housekeeper, and the language teacher! They all made my experience amazing by being very accommodating and friendly during my stay. Thank you, Work the World, and all staff in the hospital, too.